Abandoned by her biological mother in a coin locker in Seoul, a baby girl is discovered by a passing vagabond and brought up on the streets by the homeless community. Named ‘Il-yeong’ after the number ’10’ compartment in which she was discovered, the youngster shows remarkable resilience to her situation, a trait which proves useful when a corrupt cop abducts and sells her to a criminal organisation headed by sinister matriarch Mama (Kim Hye-soo (김혜수). Years later, Il-yeong (Kim Go-eun (김고은) has grown to become an enforcer and debt-collector for the organisation based in the seedy underbelly of Chinatown. Yet when Il-yeong is forced to collect a payment from kind-hearted Seok-hyeon she becomes conflicted, leading to a violently catastrophic showdown with those she has come to regard as family. 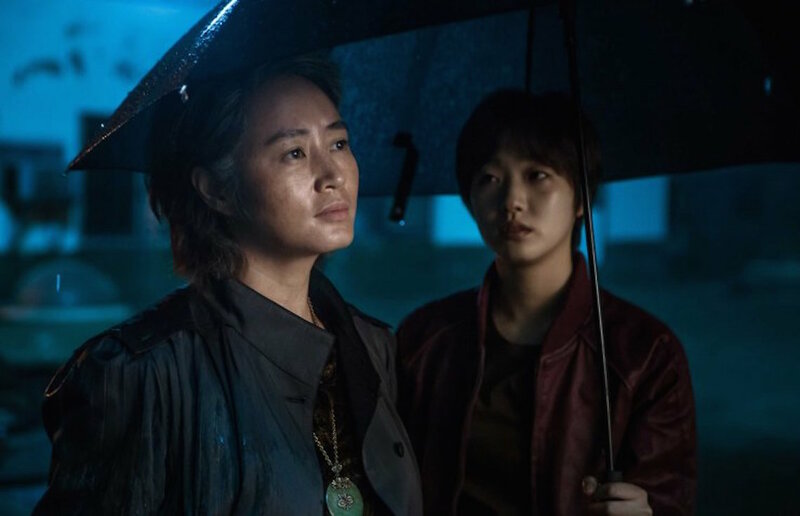 Visually attractive and featuring a mesmerising performance by Kim Hye-soo, Coin Locker Girl – or the more pertinent Korean title Chinatown – is a narratively lacking yet impressive directorial debut by Han Jun-hee. Director Han wonderfully employs colour to startling effect throughout the crime drama, utilising stunning shades of green in conveying the eerie, mysterious, and threatening world dominated by intense mob boss Mom, yet he also keeps the film grounded through the use of monotone shades of brown in conveying the drab existence his protagonists lead. In conjunction with skewed camera angles that generate surreal intensity, Coin Locker Girl is quite the stylised urban fable. The film is also a particularly refreshing break from the overabundance of testosterone in cinema, featuring two strong central females leads who are more than capable of emerging victorious over their male counterparts. Where Coin Locker Girl falters however is primarily due to the weak narrative. 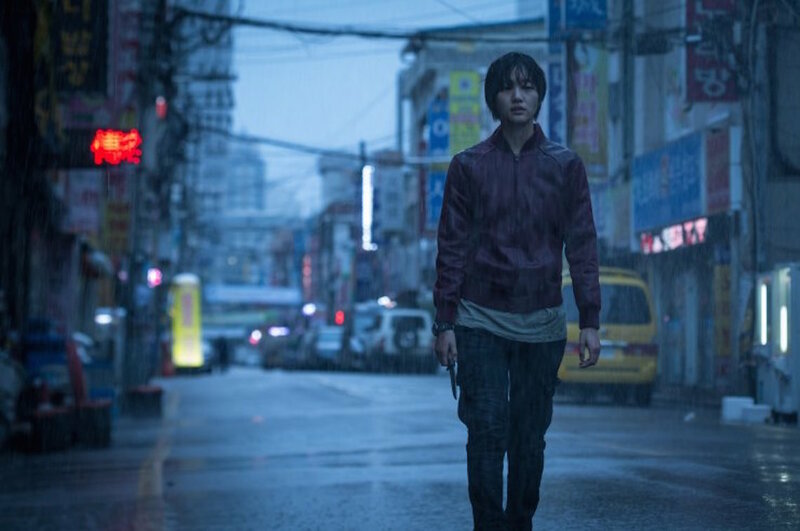 While competent, and certainly a big step up from director Han’s writing duties on disappointing thriller Gifted Hands, the crime drama simply lacks the impetus required to make the events compelling. The film is often referred to as ‘A Bittersweet Life with women’ due to the very similar narrative structure, yet whereas director Kim Ji-woon spent time developing his central character’s foibles and making him someone audiences could emotionally invest in, the same cannot be said for Il-yeong’s trajectory due to a host of logic lapses and superfluous scenes involving underdeveloped supporting roles, a rival gang, as well as contrived motivations designed purely for plot progression. Il-yeong’s story, while interesting, doesn’t resonate as it should and as such ironically villainess Mama steals the limelight. 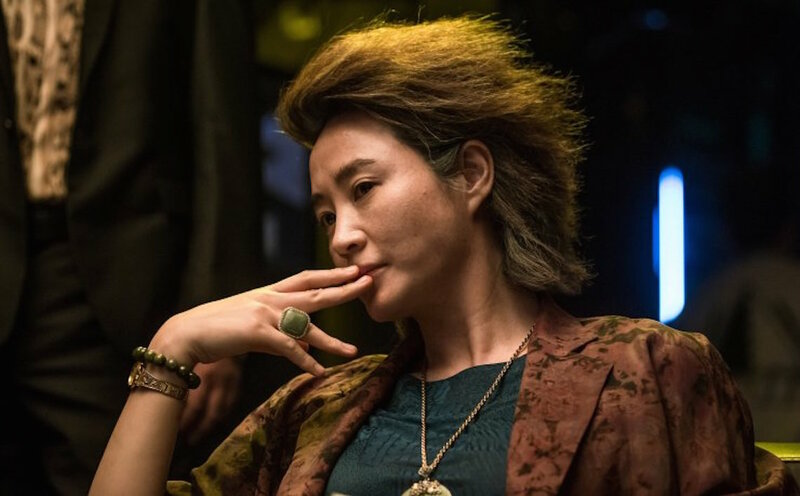 As underworld matriarch Mama, Kim Hye-soo is fascinating. Her transformative performance is easily a career highlight for the venerated actress, who exchanges the feminine glamour for which she is renown for a dowdy, masculine charisma with ease. Combined with her often disturbingly intense stares and danger-filled silences, Kim is wholly believable as a ruthless Chinatown kingpin. Every time Mama appears onscreen she dominates the proceedings, providing sorely needed suspense and compulsion to the narrative and is by far the most intriguing character within the film. Kim Go-eun, however, has been completely miscast as gang enforcer/debt collector Il-yeong. While she is undoubtedly a charismatic actress, as exemplified in A Muse, Kim’s perfectly white and unblemished face in conjunction with her waif-like physique simply don’t convey the required gravitas the role requires and stands in stark contrast to the efforts employed by Kim Hye-soo. Though not a fault of her making, Kim Go-eun – as well as love interest Park Bo-geum – also falls victim to the oddities within the script and while she performs admirably, it’s difficult to emotionally invest in her journey. Narrative peculiarities also particularly effect the supporting cast. Jo Bok-rae (C’est Si Bon) is criminally underused as corrupt cop Tak and he, along with the other male roles, seem to be present purely to engage in violent scenes that ironically tend to force Il-yeong to the sidelines. As adopted sister Song, Lee Soo-kyeong is present merely to be attractive although a scene in which she stabs herself in the arm with heroin, rather than injecting it into her veins, is quite laughable and destroys sympathy for the wayward antagonist. As the supporting roles are so underdeveloped, it is always a relief when Mama returns to the screen for she is the driving force behind Coin Locker Girl and the reason it’s an engaging viewing experience. Coin Locker Girl is a visually impressive debut by writer/direcor Han Jun-jee, who employs striking colours and skewed camera angles to generate the intensity of the criminal underworld in Chinatown. 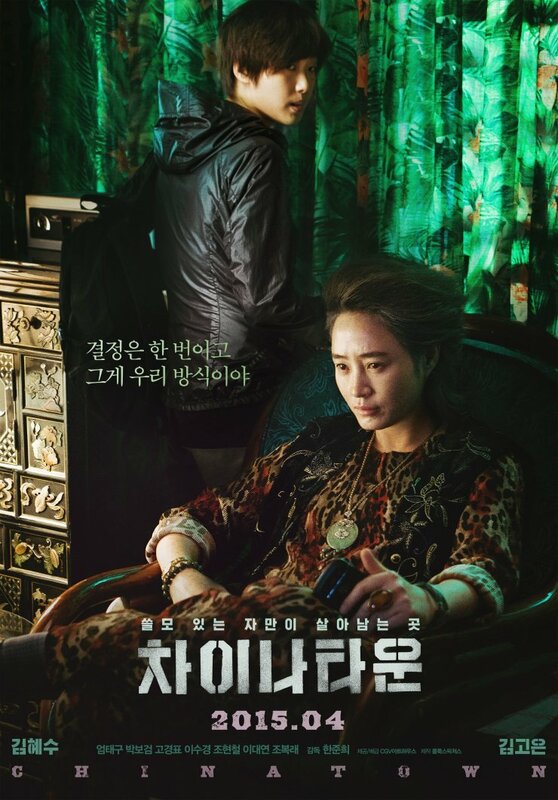 Narratively however the crime drama is weak, yet the film is saved by a fascinatingly transformative performance by Kim Hye-soo who brings palpable gravitas to the role and provides the necessary compulsion to make Coin Locker Girl an entertaining effort.